Feel like you are stuck in love rut? Want to try something different on your couple’s escapade to the Greek capital? Whatever mood you are in, here are some cool and unusual date night activities you should do with your S.O. when in Athens. There is nothing like a little corps-a-corps with some tango music to bring lovers closer. Are you feeling a bit romantic but want to do something spontaneous and different from just heading to a bar? Then walk down the pedestrian street at the end of Ermou until the Kerameikos Archaeological site on Monday after 10 PM. 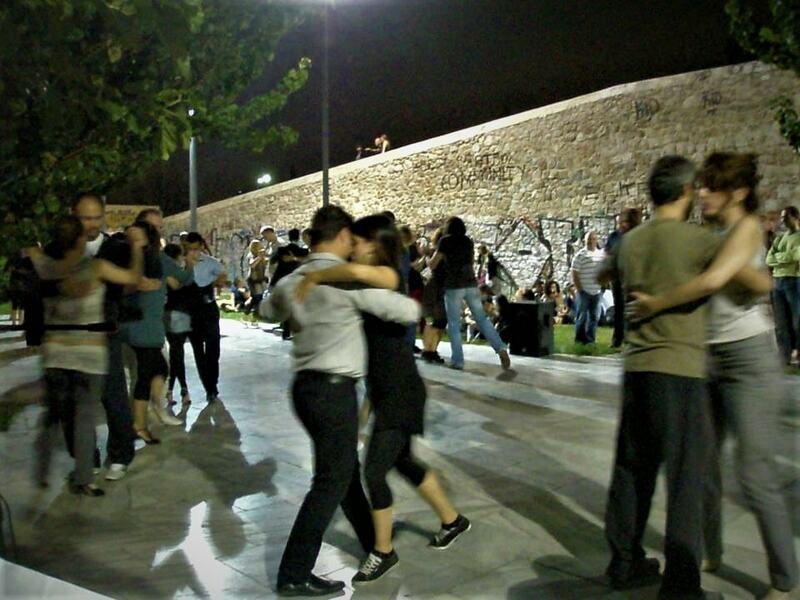 There you will find Milonga Dromou, a weekly rendezvous for tango lovers in Athens. The atmosphere is relaxed and free, and most importantly, everyone is welcome. If your significant other has a huge crush on Tom Cruise in his Cocktail years, then take the cue and head to Meerkat Safari Cocktail Bar. There you can join the staff behind the bar and try your hands at some mixology tricks by preparing your own cocktails, with the help of the staff. We guarantee you will score some major points. For those who enjoy movie nights with a twist, Cinemarian is the answer. 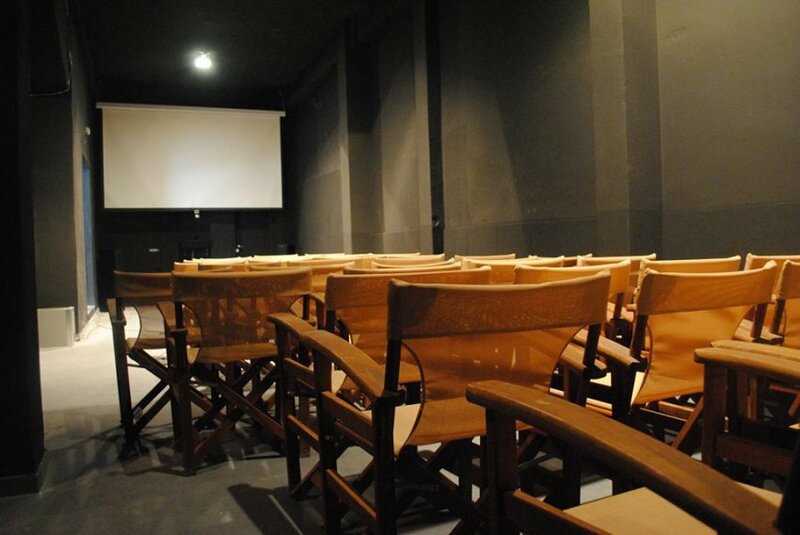 This pocket-sized indie cinema in Koukaki is ideal for small screenings, art festivals and discussions about movies and cinema. Tickets cost €2.50 with specific themes such as DADA and surrealism or post-punk underground cinema. Couples who think together, stay together. At least, we believe so. Test your intellect and logic at Athens Clue Escape Room, one of the first escape rooms in the Greek capital. With each room designed according to a specific theme, you will immerse yourself in a mystery-filled adventure, where the secrets and riddles you unlock lead to your well-earned freedom. A great alternative to game night at home. Who doesn’t remember the infamous pottery scene in Ghost? There is a reason why it is considered one of the sexiest moments in movie history. 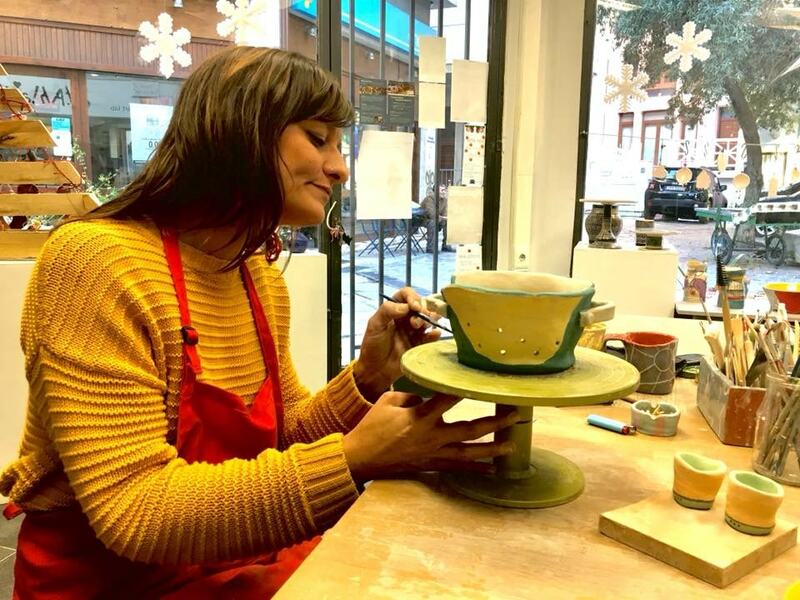 Create your own, or at least get inspired by a pottery class at DotAhart art lab. Voula and Athena will teach you how to get your hands dirty and create your own artwork. At the end of the lesson you can leave with your own creation, or shop among the women’s infinite collection. There are a plethora of live gigs in the city, but push the envelope and register for a Sofar live performance in an unusual spot around Athens. If you don’t know the concept, Sofar is a team of music lovers that connects unknown bands and artists and allows them to perform in unorthodox venues. These small-scale events can take place in someone’s home, a parking lot or on a rooftop. All you have to do is register and hope to be selected for an invite to one of the unique musical performances. There is something romantic about being goofy with your lover in a theme park and letting your inner child have fun. Make this possible by heading to Athens’ theme park in Renti. Allou Fun Park may be small in scale but it definitely has a lot of fun potential. 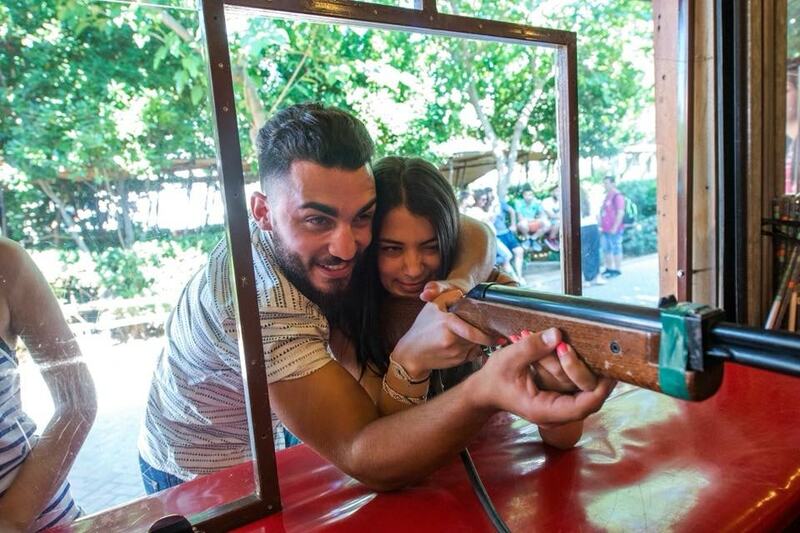 Whether you prefer the gravity-defying rides or simply want to try your hand at shooting games, you are in for a lot of fun together. The Stavros Niarchos Foundation Cultural Center was set up to serve as a modern-day agora space for locals, and we can safely say that it succeeds. With a rich agenda of events and cool happenings, the SNFCC is one of the main destinations when it comes to entertainment in the city. One of the most popular events are the summer outdoor movie nights. Attracting thousands of movie-goers, the movie nights are ideal for those looking for an excuse to cuddle in front of a good movie without having to stay in. Pack your blanket, snacks and drinks and check the summer program. If the prospect of being locked in a room guessing riddles scares you, take it down a notch at the Athens Sports Bar’s pub quiz. Held every Monday night, this fun activity is the opportunity to test your knowledge, meet new people and spend quality time together as a team. Even if you are not good at it, you will get a cool night out that doesn’t involve being locked down somewhere. Athens Sports Bar also hosts karaoke nights on Thursdays. Another way to bring you and your partner closer together without having to sit down for a long dinner is to simply take a cooking class together. Learn how to make staples of Greek cuisine while having fun. It’s a sneaky way to see if your boyfriend knows his way around the kitchen, and a fun way to see how you interact and learn in a playful environment. Plus, neither of you will have to do the dishes.